AIPAC welcomes advancement of U.S.-Israel missile defense funding. 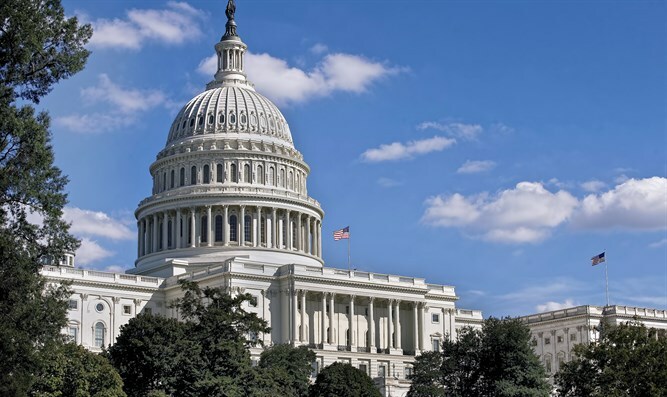 The House Appropriations Committee and the House and Senate Armed Services Committees on Thursday advanced U.S.-Israel missile defense assistance and cooperation in the 2018 defense appropriations and authorizations bills. These committees provided a total of $705 million for research and development and procurement funding for the Iron Dome, David’s Sling, Arrow-2 and Arrow-3 U.S.-Israel cooperative missile defense systems. The funding represents a $558 million increase from President Donald Trump's budget request for these programs, and $105 million over last year’s adopted funding level. The move was welcomed by the American Israel Public Affairs Committee (AIPAC) in a statement on Thursday. “AIPAC commends the leadership of House Appropriations Committee Chairman Rodney Frelinghuysen (R-NJ) and Ranking Member Nita Lowey (D-NY), House Defense Appropriations Subcommittee Chairwoman Kay Granger (R-TX) and Ranking Member Peter Visclosky (D-IN), House Armed Services Committee Chairman Mac Thornberry (R-TX) and Ranking Member Adam Smith (D-WA), House Armed Services Subcommittee on Strategic Forces Chairman Mike Rogers (R-AL) and Ranking Member Jim Cooper (D-TN), Senate Armed Services Committee Chairman John McCain (R-AZ) and Ranking Member Jack Reed (D-RI), and Senate Armed Services Committee Subcommittee on Strategic Forces Chairwoman Deb Fischer (R-NE) and Ranking Member Joe Donnelly (D-IN)—who ensured that these critical programs were included,” it said. “As Israel faces dramatically rising security challenges, AIPAC urges inclusion of these vital funds in the final versions of the Fiscal Year 2018 defense authorization and appropriations bills,” added AIPAC. Last December, the U.S. Senate voted in favor of a defense policy bill which includes more than $600 million for missile defense cooperation with Israel. This aid is separate from the memorandum of understanding signed between Israel and the U.S. last September, and which grants Israel $3.8 billion annually beginning in 2018 and through 2028. After the memorandum of understanding was signed, Republican senators said they would seek to overturn part of it so that Israel can receive even more aid.